Picture this – a golden-yellow majestic fort that arises amid the yellow sandstone buildings and surrounded by sand dunes. All these further enhanced by the golden rays of the Sun. It is not surprising that Jaisalmer is known as the Golden City of India. One look at the town and you will know why it is called so. Truly a spectacular sight to behold. Close to the Indo-Pak border, this town is home to a lot of legends, history and mysterious stories. Besides this, I also, found it to be an amazing cultural hub. When I planned my trip to Jaisalmer, I did a fair bit of reading online and came across an exhaustive list of places to visit in Jaisalmer. I knew then, that I would not be able to visit them all. However, among the many, here is my list of 10 things to do in Jaisalmer. The most note-worthy aspect of this fort is that it blends into the golden desert as the sun fades away. It is this camouflage ability of the fort that made it quite strategic and also, gave it the name Sonar Qila or the Golden Fort. The Jaisalmer Fort is one of the largest forts in the world and is probably one of the few living forts. You will find rows of houses, restaurants and shops here. In fact, quite a few popular hotels in Jaisalmer are within the fort itself. The fort was an important center of commerce between India and rest of Asia and has stood up to the many attacks from rival kingdoms, including one from Allaudin Khilji. Discover more of its history when you visit the Maharaja’s Palace within its premises. And while you are here, don’t forget to climb up to the terrace to get a mind-blowing panoramic view of the golden city of Jaisalmer. Huge ostentatious mansions of the merchants and ministers or the Havelis are a definite must-visit when in Jaisalmer. The unique architectural designs and the splendid interiors give you an insight into the life back then. 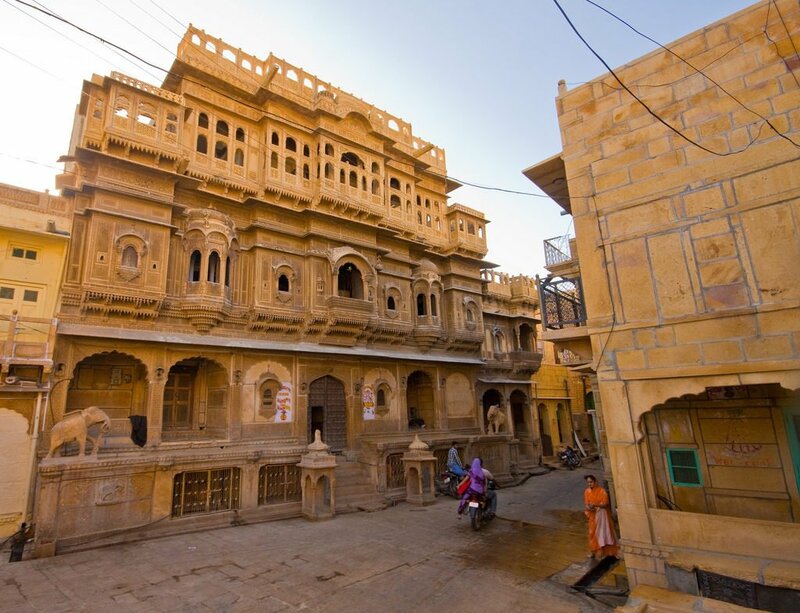 Among the many, the three popular ones in Jaisalmer are – Patwon ki Haveli, Salim Singh ki Haveli and Nathmal ki Haveli. Salim Singh ki Haveli was built by the minister Salim Singh. The same guy who I had mentioned earlier in my article on the Ghost town of Kuldhara. No matter how villain like he was, his Haveli is just unique. The roof of the haveli is designed like a peacock and each of its 38 balconies are said to have distinct patterns carved upon them. Nathmal ki Haveli is partially occupied but nonetheless, worth a visit. It was built by a Diwan or Prime Minister. The Haveli is famed for its huge life-sized elephants that greet its visitors at its entrance. If you have missed my earlier post on the Eerie town of Kuldhara, now is the time to go through it. Just on the outskirts of Jaisalmer, this town was the home to the Paliwal Brahmins. A bustling town that was abandoned overnight and left cursed that no one could inhabit it later. What remains today are stories that the crumbling walls whisper, the desolate streets and the remains of what the former inhabitants left behind. Definitely a place, to experience once and relive the tale of the cursed village . If this is not eerie enough, then you must visit the Khaba fort that was home to the same Paliwal tribe. There is a museum that houses the various artifacts that the villagers left behind. The place has little human activities but you are sure to find a lot of peacocks and if you seek prior permission, you can even have breakfast here with them. The lifeline of Jaisalmer, the credit for building and preserving this artificial lake is given to Maharawal Gadsi Singh. Built around the 1300s, this is one of the few surviving heritage lakes of Rajasthan. 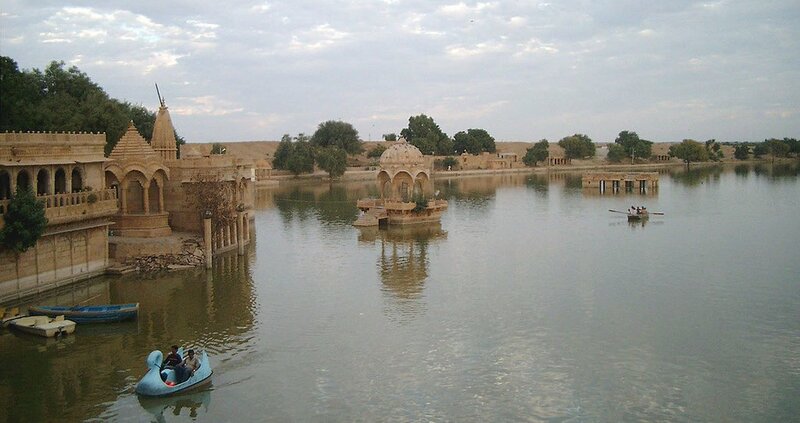 Gadisisar or Gadisar lake makes a lovely outing as it gives you a different atmosphere from the rest of Jaisalmer. The beauty of this lake is enhanced by the lovely heritage buildings around its banks – the temples and the Chhatris. If you happen to be in Jaisalmer around December to February, you are bound to spot quite a few migratory birds. You can just stroll around or go for a boat ride while you enjoy the amazing sights around this heritage lake. And yes, don’t miss its ornate entrance – Tilon ki Pol -a gate built by a court dancer when the King was away. Walking along the parallel rows of cenotaphs made for the Bhatti dynasty of Jaisalmer can be quite an experience – mysterious, wonderous, happy and yet sad. Bada Bagh evoked a mixed bag of emotions for me as I visited them. A part of Jaisalmer that seems to be ignored but in reality is too beautiful to be left behind. 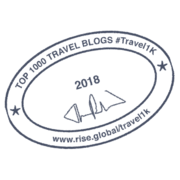 Bada Bagh is a definite recommendation from my side and to know more about it, I urge you to go to this post of mine. The stone cenotaphs have a fascinating story of their own. If you are bitten by a shutterbug, you must visit this place at Sunset to get the some gorgeous shots of this heritage landscape. You do not have to be religious to try this out. Just being an art and heritage lover will do. Jaisalmer has some amazing temples – especially Jain temples. You can start this trail with the seven 15th century temples within the Jaisalmer Fort and then, go further to the gorgeous ones in Lodhruva. While you are at it, go to the border of India to see the miraculous Tanot Mata temple. This is something I really wanted to do, but missed it. The Tanot Mata temple is indeed a “Temple of miracles” for it is the only place which remained unaffected by the bombing during the Indo Pak War. So unaffected, that even the bombs that fell around here, remained un-exploded. Don’t believe me? You can see it for yourself at the museum in this temple. 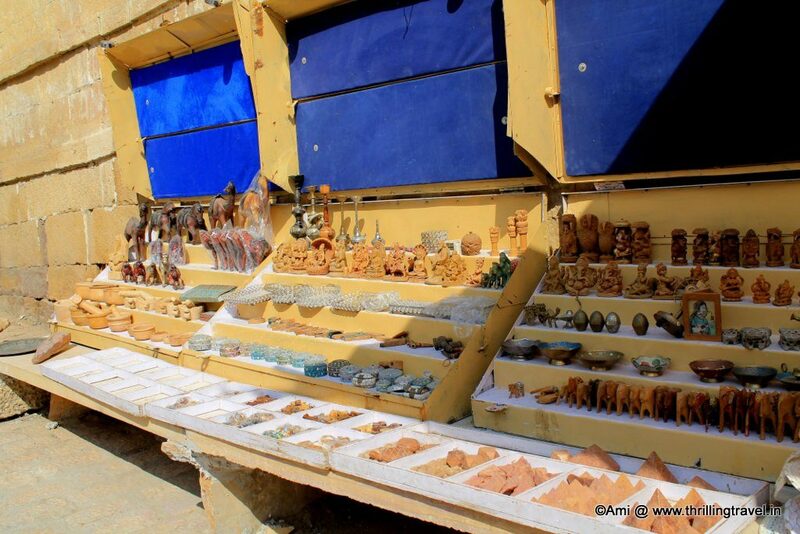 Jaisalmer is a perfect place to empty your pockets and buy some lovely Rajasthani artifacts to take back home with you. From artifacts like lamps and clocks to beautiful bedspreads and the colorful Rajasthani puppets, you are bound to find something that will add to the charm of your home. Alternatively, you can choose something for yourself – from charming trinkets to vibrant kurtas and ghaghras or even colorful bags. To shop, you can head to the shops around the fort and the ones within it as well. Remember to bargain well. The other place that I would recommend is the Handicrafts shop near Patwon ki Haveli. You don’t have to walk too far to do this. 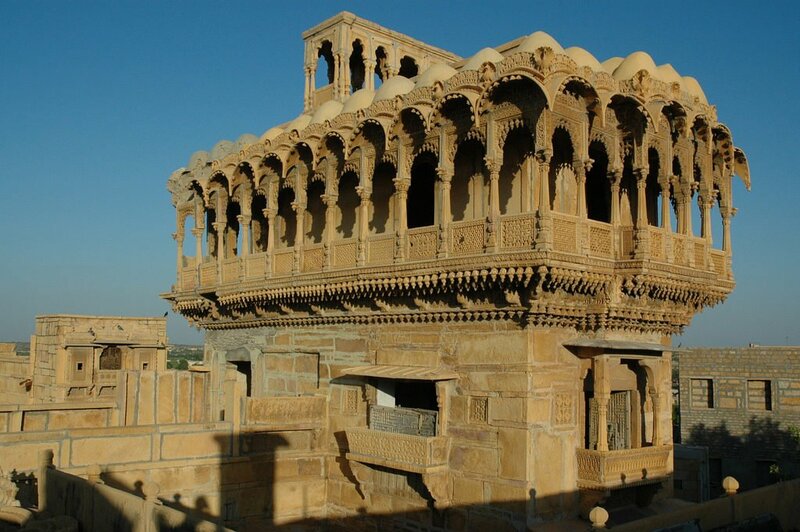 You will find music and drama all around Jaisalmer, starting with the fort. Watch out for those street puppet shows and musicians who can completely enthrall you with their antics and melodies. The themed hotel stays and desert safaris have a complete show organized for their guests – from dancing to singing and more. Don’t forget to photograph yourself in the traditional outfits when you get an opportunity to do so. A perfect memory for life. All of us have experienced magical sunsets and sunrise over the mountain and oceans. However, experiencing them amid the dunes is just something else. For this, you need to do a desert stay either at the famed Sam Dune or to the lesser known but more rustic Khuri. The desert stay can be fun – with its cultural night, a camel safari or some dune bashing in the jeeps. You should also, try sleeping on the dunes to watch the twinkling clear night sky. Me? I tried them all but the most blissful moment for me was the crack of dawn when the red ball arose from beyond the dunes to light up the world. Jaisalmer is bound to bring out the foodie on you. 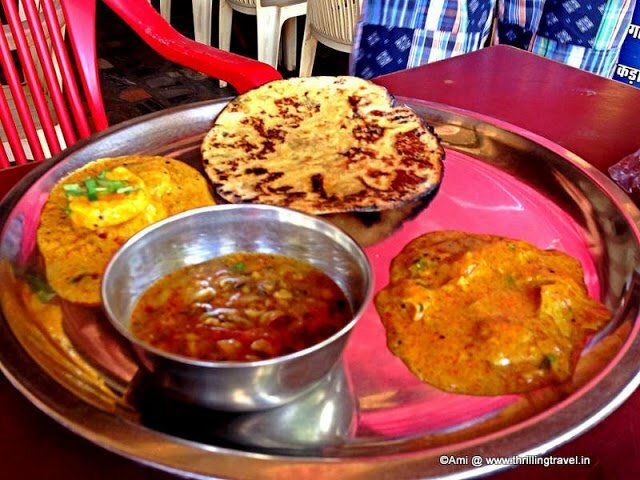 Go for a food trail and try out the authentic Rajasthani dishes – from the simple Bajri Roti to Dal Baati Churma. The best part is that you do not really have to look far as there are restaurants all around you to help you experience it all. We found one, right on the main road, close to the Patwon ki Haveli – called Jodhana Restaurant. The place was small but had the most amazing Bajri ki Roti and Gatte ki Sabzi. We topped that up with some mouthwatering Churma. A meal that we will never forget. When here, remember to sample the specialty sweet of Jaisalmer – Ghotua here. What are your favorites from this list? And if you have been to Jaisalmer, have you tried all these out? Comment in and let me know, while you share this post and pin around for all those heading to Jaisalmer. Jaisalmer is around 560 kms from Jaipur and 285 kms from Jodhpur. The city has its own airport, however, there are limited flights to this airport. You can reach Jaisalmer by road with the various tourist buses and cabs. However, the journey is quite long and tiring. Railways is possibly a better option. There tons of trains to Jaisalmer from various places in India and Rajasthan. The best time to visit Jaisalmer is between October to February, when the weather is slightly cooler. Jaisalmer is a desert town and hence, it gets a little warm during the day while extremely cold at night. Hence, keep some light cotton outfits for the day and some warm woolen clothes for the night. Given that there is plenty of walking to be done, flat shoes are advised. When going in for a desert stay, you might want to carry comfortable shoes or slippers that can allow the sand to slide out easily. You might also, want to carry some snacks when going in for a desert stay as these are quite far from the city. There are no shops close by. When buying from street vendors, please bargain to half the rates and check your purchase before leaving the stores. If traveling to Jaisalmer by train, remember to book and reserve your seat well in advance. These trains tend to get quite full. When visiting the various attractions, remember to note their opening and closing times. Some attractions like the Kuldhara Village are not open post evening hours while some like the Khaba fort open only at midday. Jaisalmer is a town close to the border of India and hence, there are certain areas that have restrictions. The area beyond the Tanot Mata temple being one such area. Beware of people who promise you access to these areas as they may not be authentic. Great post Ami. Jaisalmer is amazing, especially Sam sand dunes. Plus you did mention Khuri which most travelers don’t even know about. Some of my friends run desert camps in Sam & Khuri and both these places are magical. Plus if you have time, then do visit Jaisalmer in Feb for the desert festival organized by the Jaisalmer BSF in February, its amazing. Thanks Jatin. I did forget about the desert festival. It sure is a good time to go then. I think I have done it all! Beautiful pictures! Cool, amazing Jaisalmer, isn’t it? What a detailed post.. just loved reading it..
visited forts and temples and done some street shopping. Good to know that you had a good time. I will probably never get to India, but I can visit through the beauty of travel blogs like yours. Thank you! I had the most amazing time there! Lovely pics you have, they rekindled my fond memories! Awesome read, very nicely written, the pics are mind blowing. Very beautiful photos of Jaisalmer. Such a magical place. Loving culture of Rajasthan.. Rajasthan tour was really amazing. I really missed those days. 0/10…..:( .that is my score.. need to go there asap…. thanks for the virtual trip..
What a beautiful & Historical place to visit !! Thanks Yogi. It sure is. Your post was really helpful Ami. Today I had booked my tickets for Jaipur, and was wondering how to plan the trip. I will definitely try to see at the 10 places you have mentioned. Thank you Nikitha. I am sure you will have a good time at Jaisalmer. Thank you. The Havelis stole my heart :D.
Jaisalmer is at the top of my world bucket list. Some people want to go to the moon, I want to go here. I think the havelis sound so interesting! Ha ha. Jaisalmer sure is fun. And I hope you get there soon. The fort looks great and more my style than the fancy palaces. Looks to be a great adventure! Thanks for stopping by. Jaisalmer fort is fun but I personally liked the Havelis better. It looks fantatic. I love the havelis and sunset over the dunes would be magical. They sure are – the havelis and the Sunset. Dunes are also fun to play around with. beautiful! I’d love to visit Rajasthan properly and see more than just Jaipur and Udaipur. There seems to be so much to do. This all sounds incredibly adventurous! I love the idea of a temple walk, and I especially love your picture of the Jaisalmer Fort with all the birds in flight. Thanks for sharing! Thank you. Jaisalmer was fun alright. Lots of nature, history and culture. Jaisalmer is indeed a Golden city, the splendour of Rajasthan awaits to mesmerize you at every nook and corner. Lovely post and stunning pictures. I want to see a sunset on those dunes. Stunning! Looks stunning with lots to do, see and eat. I can only imagine how beautiful those sunset/rises on those dunes would be. They are just splendid. You should try this out sometime. Thank you Christine. I loved re-living my journey through these posts. The Gadisar Lake was one of my first photography dreams. I’ve always wanted to visit and capture every manner of photograph and visitor and resident there. So beautiful! Thanks Rob. I too, would not have minded some more time here. I love seeing all these ruins and cultural attractions. This looks like my kind of travel adventure. Thanks for the tips. Thanks Carlie. Jaisalmer sure will be fun given your interests. Because of your articles, I’m more and more impatient to be there!!! Thank you. Hope you get here sooooon. An epitome of everything Rajasthani, from every postcard you’ve probably ever seen, the spectacular sandstone royal desert town of Jaisalmer is charming and mysterious all at the same time. Self-explanatory as a ‘golden city’, Jaisalmer’s fort is perched on a yellow sandstone ridge, keeping a watchful eye over the ever-spreading town beyond its walls. Hmm just beautiful description of Jaisalmer .. i changed my mind and cancel my new year eve celebration from shimla to Jaisalmer .the sun rise and set on dunes would be the great experience that i m going to witness.. Thanks for this fantastic description of desert city – Jaisalmer .. Sand dunes, Rajasthani Trinket, Rajasthani thali cuisine, ghostly village, historic haveli’s and the list goes on. 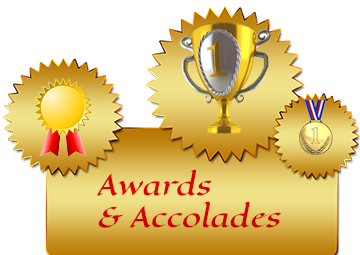 Jaisalmer is ever intriguingly exciting and would never disappoint one for their visit. You did a perfect job by putting them all one place in a list. Will be pretty helpful for the new visitors of the golden city. Surely, Jaisalmer is a beautiful place. And the way you described it is even more amazing. Not even Jaisalmer but Rajasthan itself is a great place to be explored. Apart from that, there are many royal palaces in Rajasthan like Suryagarh, Narendra Bhawan, Junagarh, Lalgarh and many other underrated places to visit in Jaisalmer, Jodhpur & Jaipur that could be mentioned. Really looking forward to blog posts on these topics too. 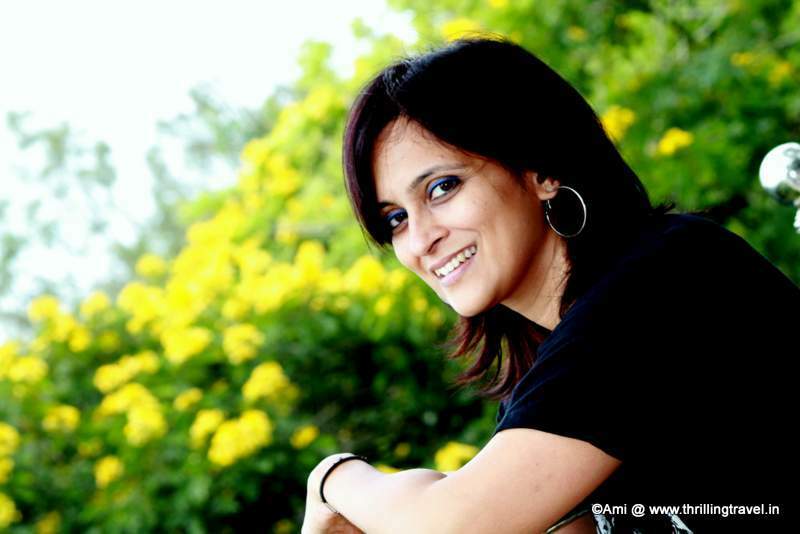 Thanks Tarini. I have written posts on a few of these palaces and I hope you can check them out on my site. Thank you Shama. Glad you found the article useful.